And here’s the delicious dish in the context of the original menu. No clue here. 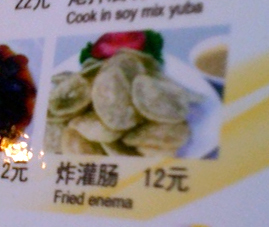 If Sanam ate the fried enema, she lied to us and said she didn’t. 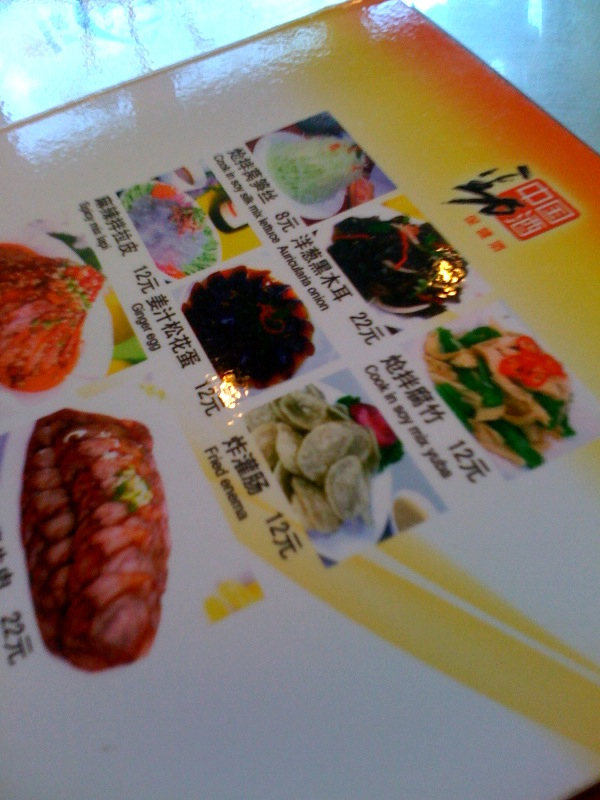 Chinese-savvy readers: any clue as to what the menu writer was going for here? Language Log has a number of posts on similar items, under the Lost in Translation category. You could ask them about this one. Done and done. Shall post results here.